There is certainly no shortage of digital publishing companies, each with their own focus on supporting the industry. Some platforms work with individuals or small publishers with only a few titles, while others work with major publishers to digitize their back lists or make sure digital editions of their new releases are ready when the print becomes available. Others even specialize further by focusing on creating stand-alone apps for their clients. One essential element of any digital publisher’s business model is the ability to meet a need that is not wholly addressed by every other platform already. 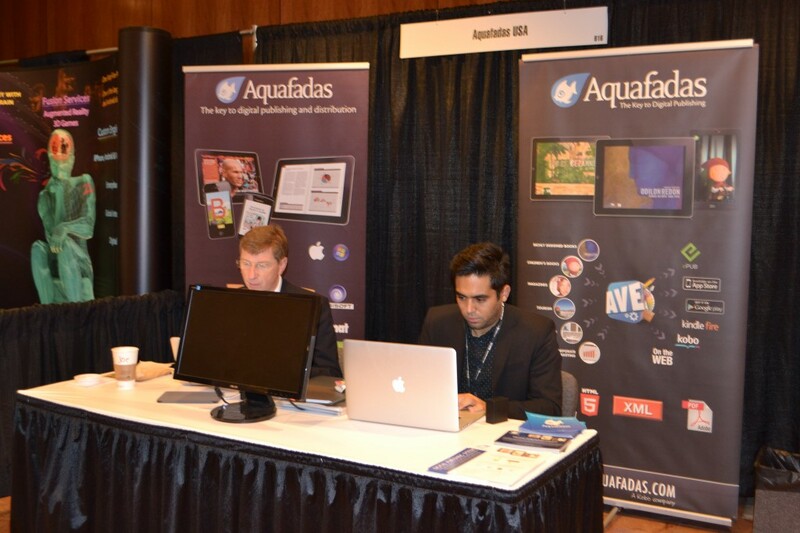 Aquafadas, a Kobo company, provides solutions for magazine and newspaper publishers, ebooks, publications for marketing and corporate purposes, and even digital comics. What sets it apart, though, may be that it is one of the few publishers who can work with a company who is already using InDesign, so that there is no need to recreate the content prior to publication in another format. Rainer Heckmann, General Manager of Aquafadas, sat down with GoodeReader at this year’s Digital Book World to talk about the work that they do.